As functional as it is beautiful, the True Fabrications Bullet cocktail shaker is perfect for everything from a night in with friends or that special someone. 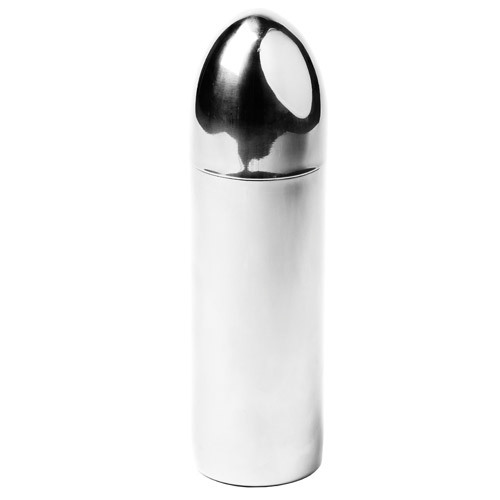 With a polished 18/8 stainless steel construction, this sleek cocktail shaker features modern design that resembles those 1930 Silver Bullets. It is perfect for parties, and includes a strainer, a cap lid, and a manufacturer's limited 10 year warranty.